Canda's pro-Jewish, pro-Israeli Prime Minister Stephen Harper, sends Canada's young men to die in the struggle for Zion in far-away Afghanistan, while he is deeply involved in the Jewish mafia. In December 2008, the Conference of Presidents of Major American Jewish Organizations presented Stephen Harper, and his government as a whole, with its inaugural International Leadership Award for his support for Israel. From the Jewish Tribal Review homepage's "Jewish Influence in the Mass Media" (pt. 2). 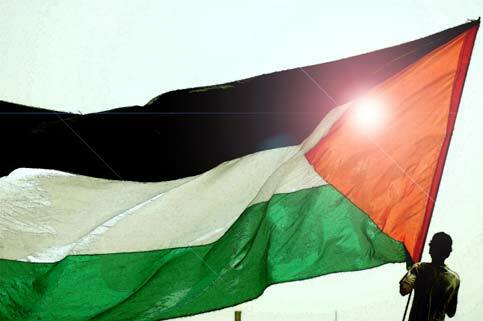 By Yves Engler: "Canadian Prime Minister Steven Harper's government publicly supported Israel's brutal assault on Gaza and voted alone at the UN Human Rights Committee in defense of Israel's actions [...] Now Canada has taken over Israeli diplomacy. Literally." 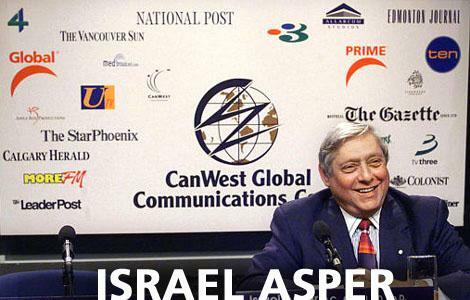 Canadian Jew Israel Asper with his media empire. Quebec Government funds Racist Jewish cult that claims all Christians and Muslims are "evil"
In 1998, the government of Quebec promised nearly one million dollars to the fanatical messianic Jewish cult known as "Chabad-Lubavitch." Yet this cult has brazenly published, disseminated, taught and promoted the hatred of Christians, Muslims, and all other non-Jews by casting them as subhuman and demonic. 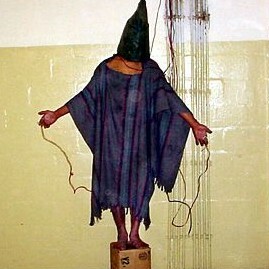 A collection of articles on the imprisonment of the dissident Ernst Zündel. "These are dangerous waters for any journalist. In 1988, Toronto Life magazine was hit with a $102 million libel suit for publishing an article by freelance writer Elaine Dewar which investigates [patriarch] Samuel Reichmann's murky past as an egg dealer in pre-war Austria and then as a currency speculator in wartime Tangiers. Toronto Life's eventual apology and out-of-court settlement suggested that 'libel chill' can be an effective deterrent for any wealthy family seeking to keep a curtain of privacy around itself." 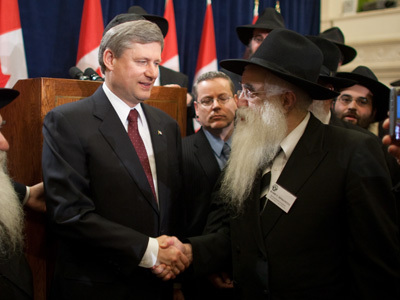 Canada's Prime Minister Stephen Harper with his Jewish pals. Is it safe for the world to be dominated by very small minorities? And especially Question 10: Why isn't a highly plausible ISRAELI connection investigated as prime suspect in the two bomb attacks against the Israeli Embassy (1992), and AMIA Jewish Community Association (1994) in Buenos Aires? From the Jewish Tribal Review homepage. By Mazin B. Qumsiyeh. 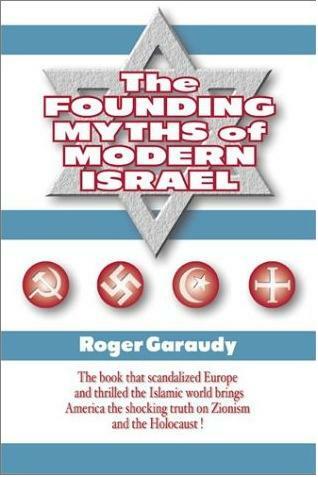 Includes information on Israel's support to the military régime, even when it killed Jews. "Several members of [dictator Fulgencio] Batista's government from 1952 to 1958 were close to local Jews." [LEVINE, p. 211] Among those was Jewish mobster Meyer Lansky, who built his own resort hotel, the Rivera, in Cuba, "the largest casino hotel in the world outside Las Vegas." [LEVINE, p. 203] Among American Jewish industrialists, developers, financiers, and department store owners in the area, Jacob Branden was knighted by Batista, the Habif family owned the largest perfume factory, and Philip Rosenberg was head of one of the largest Cuban sugar plantations, the General Sugar Corporation. Article from Ha'aretz. The Mossad and the Jewish Agency, not Fidel Castro, were responsible for preventing news coverage of the campaign to bring Cuban Jews to Israel. The Jewish Daily Forward (January 4, 2013) writes: "[...] Panama is also the only country outside of Israel to have had two Jewish presidents in the 20th century: Max Shalom Delvalle, in 1969, and Eric Delvalle Maduro, from 1987-1988." Across the world, in Panama, by the 1980s, under the dictatorship of Manuel Noreiga, "the Jewish community as a whole, many of whose ancestors had arrived as Syrian traders at the turn of the century, was exceedingly rich". Article from the San Diego Jewish Press. "A portion of Avenida Brazil became Avenida Israel when a President of Panama, about to leave office, decided he wanted to show his appreciation to the Jewish citizens of his nation." In Panama, the largest newspaper, La Prensa, is owned by Jewish mogul Robert Eisenmann. "... most of Nicaragua's handful of pre- [Sandanista] revolution Jews had close ties to the [former] dictator, Anastasio Somoza". By Mazin B. Qumsiyeh. "...Israeli arms sales to the Somoza regime likewise received an important boost from the Carter administration's policy [...] Israeli weapons had become critical to the regime's survival"
"Sam the Banana Man" Zemurray, a Bessarabian Jewish immigrant, made millions of dollars in his Cuyamel Fruit company, and by the 1930s was "the major shareholder in the largest banana company in Central America" (United Fruit -- later called United Brands). In Venezuela, Jewish "Marrano" refugees from Portugal "intermarried and were numbered eventually among Venezuela's most aristocratic families." [SACHAR, H., 1985, p. 266] By the mid-1980s, among the 17,000 Venezuelan Jews (living mostly in Caracas) were 350 factory-owners. "The relatively small Jewish community [of Mexico]," notes Judith Elkin, "with its accumulated experiences, skills and enterprises, can be said to have served as a catalytic agent in the economic life of Mexico." 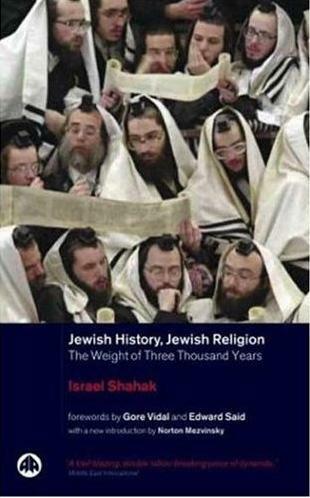 Includes the very important document: "Partial List of High Level Mexican Officials of Jewish Descent"
Russian mafia helping Mexican cartels smuggle drugs into U.S.
Read also on the Jews historical influence in "Dutch" Brazil. Brazil links Israeli consul to child prostitution. Even in Jamaica, that country's most prominent newspaper -- the Gleaner -- is most publicly associated with the Ashenheim family. [HOLZBERG, p. 146] See source. 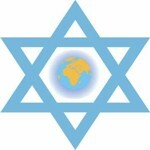 "... As one rabbi told me, Curacaoan Jews have long been the 'Brahmins' of their little island. There is no 'community outside Israel where Jews [have] occupied that status in society,' the rabbi said ... The Jews are deeply entrenched in the island’s business elite. Jews own the island’s main bank, Maduro & Curiel’s." Peru, a country with a large Indian population, has no-representative governments and as a travesty of "democracy" has instead an imposed "judeocracy" with two Jewish Prime Ministers in modern days, Yehude Simon and Efrain Goldenberg. President Alejandro Toledo even had a Jewish second vice-president, David Waisman, and an Israeli personal security chief, Avi Danon. In 2001, Alejandro Toledo was elected President of Peru and Elaine Karp became Peru's First Lady. Karp was "born in Paris to a staunchly Zionist family [and] settled in Israel as a teenager ... Her father was a member of the right wing Zionist youth group, Betar, while her mother belonged to the left-wing Zionist youth group Hashomer Hatza'ir." From the Jewish Tribal Review homepage on "Jews and Government" (pt. 2). More on Toledo and Montesino and Israel. Israeli paper Ha'aretz: "The swearing-in of the congressman did indeed take place in Hebrew - another indication of the deepening ties between Israel and Peru... "
Article from Israeli site Ynetnews.com on Eliane Karp-Toledo - the Jewish-Israeli wife of Peruvian President Alejandro Toledo. By Mazin B. Qumsiyeh. Includes information on Pinochet and the Israeli military. Even in a place like Guyana, in South America, Janet (Rosenberg) Jagan, who was born in Chicago and had married a prominent Guyanan, became that country's President in 1998. "in recent decades, there have been Jewish senators, ministers and deputy ministers, directors of the Central Bank and the central tax collection office, a rector of the university. Uruguay was the first Latin American government to recognize Israel ... 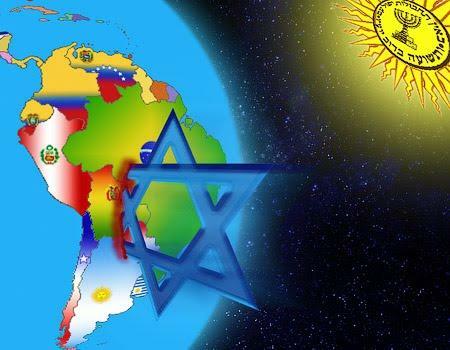 The single lingering consequence of these political changes [a Uruguayan army coups] has been an intensification of Uruguayan Jewry's Zionist commitment ... Leaders of the Jewish institutions [in Uruguay] dutifully consult the Israeli ambassador -- their status symbol -- on matters not only related to Israel but to domestic Jewish affairs ... Jewish education, both the day schools, and in some eleven Sunday schools, has remained Israel-centered." By Mazin B. Qumsiyeh: Guatemala and Uruguay, especially, made significant contributions to advancing the Zionist cause at the United Nations Session on Palestine. - Guatemala and Uruguay, especially, made significant contributions to advancing the Zionist cause at the United Nations Session on Palestine. - Professor Israel Shahak, then chair of the Israeli League for Human and Civil Rights, stated in a lecture in New York October 1985: "All weapons or practically all weapons of the Guatemalan Army are made in Israel... ". Israel is "training the Guatemalan secret police and helping it, the so-called death squads". Please see our separate special section on the U.S.